MV Holding is co-founder of Turkcell, the leading GSM operator of Turkey and the region. The Group continues to create value in technology, hospitality and renewable energy sectors. 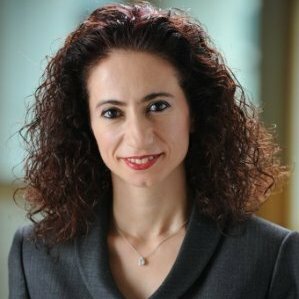 Ebru has international experience in telecoms, financial services and healthcare sectors and responsibilities including P&L management, strategy, marketing & sales, customer experience, change management, M&A and Venture Capital. Ebru started her career in 1995 at McKinsey & Co., serving in their Istanbul, London, Helsinki and Warsaw offices. She worked in investment banking with Goldman Sachs and in venture capital with Morgan Stanley in London. Following 10 years at Orange – France Telecom as an investment manager in Orange Ventures and as a Vice President with pan-European roles, Ebru joined Maxis in Malaysia where she served for three years, initially as VP Strategy then as the Head of Home & Broadband buniness unit. She returned to Istanbul after 17 years abroad when appointed as Deputy CEO at Acibadem Healthcare Group, prior to joining MV Holding. Ebru completed her BS with a first degree in Industrial Engineering at Bosphorus University. She also holds an MS degree in Industrial Engineering and Operations Research from University of California at Berkeley and an MBA degree from Harvard Business School.